The Alaska Huntress Calendar was started in 2007 by our friend Shelly Szepanski (shellyszepanski.blogspot.com), as a tribute to her female hunting friends in Alaska. Shelly passed away in December of 2008, after a long battle with melanoma, but it was her hope that the calendar, designed to help promote women in hunting, would live on. 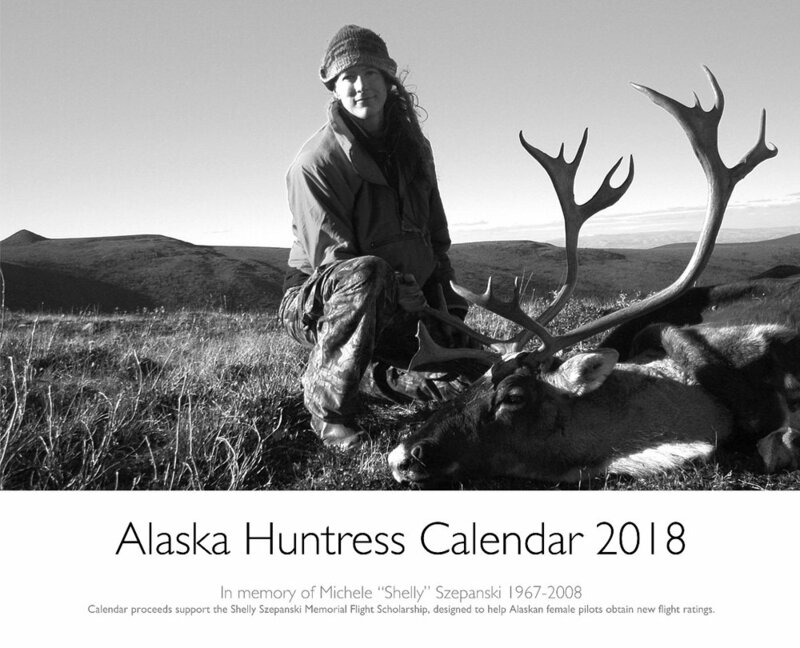 A portion of the proceeds from each calendar goes to the Shelly Szepanski Memorial Flight Scholarship; designed to help female pilots pursue flight training in advancement of their careers in natural resource management and/or remote Alaska services. Newer PostIs Wild Game Really Organic? Does perspective matter?